For other uses, see Bruges (disambiguation). Bruges (/bruːʒ/, French: [bʁyʒ]; Flemish: Brugge [ˈbrʏɣə] ( listen); German: Brügge [ˈbʁʏɡə]) is the capital and largest city of the province of West Flanders in the Flemish Region of Belgium, in the northwest of the country. 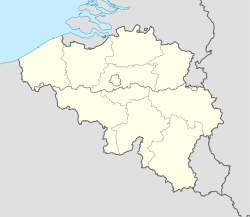 The "Huis ter Beurze" (center) of Van der Beurze [nl] family. 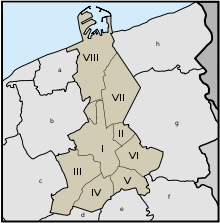 On principle, Bruges has to date never entered into close collaboration with twin cities. Without denying the usefulness of these schemes for towns with fewer international contacts, the main reason is that Bruges would find it difficult to choose between cities and thinks that it has enough work already with its many international contacts. Also, it was thought[who?] 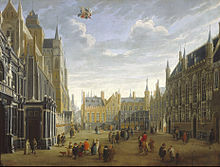 in Bruges that twinning was too often an occasion for city authorities and representatives to travel on public expense. 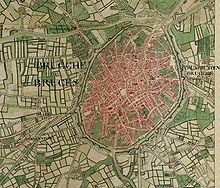 Wikimedia Commons has media related to Bruges. 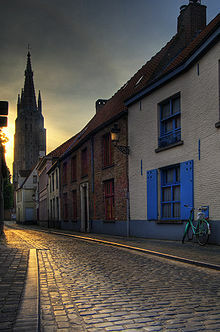 Wikivoyage has a travel guide for Bruges.